The Sanken CU-41 sets a new world standard for music recording. 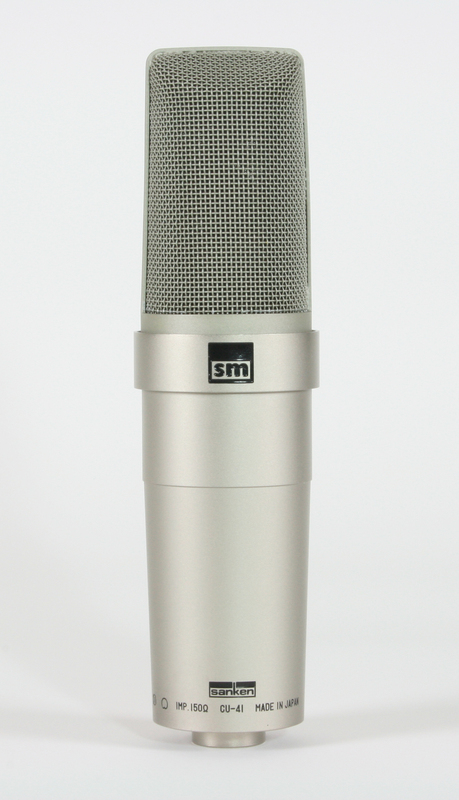 Used by engineers worldwide, it is a microphone which delivers a completely natural, uncolored sound. The special two-way transducer provides a totally flat frequency response. Frequency response is totally flat not only on axis, but also at 90 degrees, and even at 135 degrees. This capacity is very important in keeping the sound transparent. The CU-41 is also suitable as an announcer and narration booth microphone in TV and Radio facilities. Its distortion-free performance is renowned worldwide. This microphone offers a pure cardioid pattern with low proximity effect, and is 48V phantom-driven.